On March 1, the FCC issued a Notice of Apparent Liability for Forfeiture (NAL) in the amount of $25,000 to Terry L. VanVolkenburg, KC5RF, of Cocoa, Florida. The FCC alleged that VanVolkenburg "apparently willfully and repeatedly violated Sections 301 and 333 of the Communications Act of 1934, as amended..., by operating a radio transmitter without a license on...465.300 MHz and for interfering with licensed communications." VanVolkenburg holds an Advanced class license. According to the Commission's Forfeiture Policy Statement and Section 1.80 of the rules, the base forfeiture amount for operation without an instrument of authorization is $10,000, and the base forfeiture amount for interference is $7000. 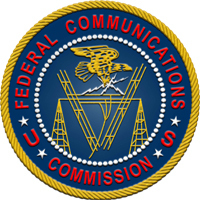 In assessing the monetary forfeiture amount, the FCC must also take into account statutory factors that include the nature, circumstances, extent and gravity of the violations, and with respect to the violator, the degree of culpability, any history of prior offenses, ability to pay and other such matters. "We find Mr VanVolkenburg's misconduct particularly egregious because his unlicensed operation involved willful and malicious interference to the communications of the Brevard County Sheriff's Department, which included threats against the officers, after being told (multiple times) to cease his interfering communications," the FCC stated in the NAL. "Thus, we find that an upward adjustment of $8000 to the combined base forfeiture of $17,000 is warranted. Applying the Forfeiture Policy Statement, Section 1.80 of the rules and the statutory factors to the instant case, we conclude that Mr VanVolkenburg is apparently liable for a forfeiture in the amount of $25,000." Read more here. 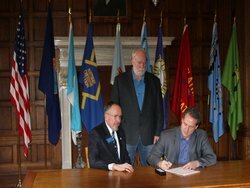 On February 28, Montana Governor Steve Bullock (D) signed House Bill 148 into law. Montana State Representative Pat Connell, WA7PDC, had submitted the bill -- Clarifying Local Government Authority to Regulate Amateur Radio Operations -- on the 2013 Montana legislative docket in order to protect Amateur Radio operators in Montana from distracted driving laws. The new law prohibits local governments from regulating licensed Amateur Radio operations from a motor vehicle and also establishes a 100-foot by-right height below which local jurisdictions may not regulate Amateur Radio towers. Read more here. In an episode scheduled to air Friday, March 15, the hit ABC comedy Last Man Standing -- starring Tim Allen as Mike Baxter, KA0XTT -- will feature a secondary ham radio storyline. This is the first time that the show will highlight Amateur Radio in its plot, showing various cast members on the air and communicating via ham radio. In Episode 217 -- called "The Fight" -- Mike's daughter Mandy (played by Molly Ephraim), gets her cell phone taken away as punishment. She discovers Mike's home shack in the basement and uses ham radio to make faraway friends. According to Last Man Standing Producer John Amodeo, NN6JA, the home shack is a brand new set built just for this episode. The ARRL provided many of the awards and certificates -- including 5 Band DXCC, 5 Band Worked All States, 5 Band Worked All Continents, VUCC (for 50 MHz), the Diamond DXCC Challenge and the Morse Code Proficiency Certificate -- seen on Mike Baxter's home shack wall. Read more here. After a day of exploring the Green Swamp Wildlife Management Area -- which covers 50,692 protected acres in Florida's Lake, Polk and Sumter Counties -- with his grandson, Joe Cody, KE4WDP, of Winter Haven, Florida, saw that the roads were flooding and becoming hazardous. As he tried to drive out of the area, Cody's small pick-up truck got bogged down in the mud. Since he was out of cell phone range, Cody tried calling for help on the Dade City 146.880 repeater. Richard Parker, KF4ORW, of Dade City, Florida, heard the call and answered. Read more here. This feature is a concise monthly update of some of the things that the ARRL is doing on behalf of its members. This installment -- which covers the month of February -- takes a look at the 2013 ARRL Field Day, scholarships administered by the ARRL Foundation, Section Manager election results, updates from the ARRL Development Office, reports from the Official Observer Desk and more. Read more here. Each year, the ARRL Board of Directors has the opportunity to select recipients for a number of awards in various categories that honor Amateur Radio operators. The nomination period is now open for the ARRL awards that are designed to recognize educational and technological pursuits in Amateur Radio, including an award that honors a young Amateur Radio operator. ARRL members may nominate hams for the Herb S. Brier Instructor of the Year Award, the Hiram Percy Maxim Award, the ARRL Microwave Development Award, the ARRL Technical Service Award, the ARRL Technical Innovation Award and the Knight Distinguished Service Award. Read more here. 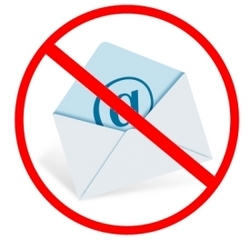 The ARRL IT staff has been notified that Microsoft is blocking e-mail to the more than 20,000 members who use the arrl.net e-mail forwarding service to forward e-mail to Microsoft domains (hotmail.com, msn.com, live.com and outlook.com). In addition, the blockage is also affecting those members of the ARRL's Field Organization and other ARRL volunteers who use an arrl.org alias e-mail address to have e-mail delivered to an address with a Microsoft domain. According to ARRL Information Technology Manager Michael Keane, K1MK, the IT staff is working to have these blocks lifted and e-mail delivery restored to normal operation as quickly as possible. The Sun, as seen on Thursday, March 7, 2013 from NASA's SOHO Extreme Ultraviolet Imaging Telescope. This MDI (Michelson Doppler Imager) image was taken in the continuum near the Ni I 6768 Angstrom line. The most prominent features are the sunspots. This is very much how the Sun looks in the visible range of the spectrum. 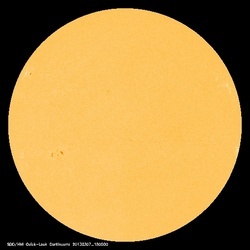 Tad Cook, K7RA, reports: Both the averages of daily sunspot numbers and solar flux rose, with the sunspot numbers up nearly 36 points to 93.3 and the solar flux up nearly 12 points to 112.6. The most active geomagnetic day was Friday, March 1, when the planetary A index was 27 and the mid-latitude A index was 23; Alaska's high latitude College A index was a whopping 64. The latest forecast from NOAA/USAF puts the average solar flux for the next five days -- March 7-11 -- at 117. The predicted solar flux is 115, 112 and 118 on March 7-9, 120 on March 10-11, 118, 115 and 110 on March 12-14, 95 on March 15-17, 100 on March 18-20, and back down to 105 on March 21-24. The predicted planetary A index is 8 on March 7-8, 5 on March 9, 8 on March 10-13, 5 on March 14-20, 8 on March 21, and back down to 5 on March 22-27. Look for more on the ARRL website on Friday, March 8. For more information concerning radio propagation, visit the ARRL Technical Information Service Propagation page. 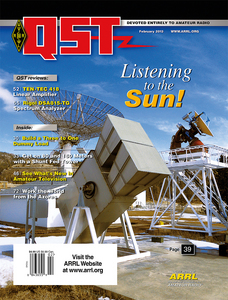 The winners of the February QST Cover Plaque award are John White, VA7JW, and Ken Tapping for their article "The Penticton Solar Flux Receiver." Congratulations John and Ken! The QST Cover Plaque Award -- given to the author or authors of the best article in each issue -- is determined by a vote of ARRL members on the QST Cover Plaque Poll web page. Cast a ballot for your favorite article in the March issue today . Is your primary FM transceiver a single- or dual-band model? Do you consider your local Amateur Radio club dues to be too low, too high or just right? 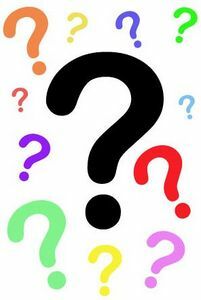 Does your flat screen TV generate interfering signals? How often do you back up the data in your station computer? Visit the QuickStats page and be sure to bookmark it in your browser. Results from this QuickStats poll will be published in the May 2013 issue of QST on the QuickStats page, located in the rear advertising section of the magazine. Along with monthly poll results, QST QuickStats offers colorful charts and graphs that highlight interesting Amateur Radio statistics. Subscribe to NCJ - the National Contest Journal. Published bi-monthly, features articles by top contesters, letters, hints, statistics, scores, NA Sprint and QSO Parties. Click here to advertise in this newsletter (subject to space availability).